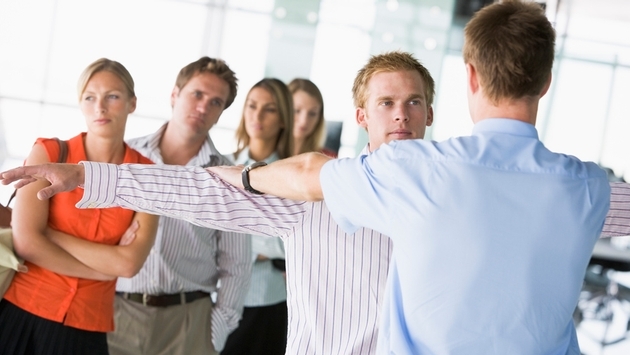 How Can Airport Security Be Improved? Since 9/11, threats against aviation security have been in the back of the mind of many airline passengers, the Department of Homeland Security, and even the Pentagon. Many people believe that the only way to keep the check-in areas safe is to only allow those who are actually flying to enter the building. A problem with that, however, is that airlines still allow passengers to bring guns and even crossbows as checked luggage items, so those items would still be entering the building. Some suggest checking passengers’ tickets before they enter the terminal, but that would require massive infrastructure changes at every passenger airport. Even if passenger check-in and security screening areas were moved completely offsite and passengers were shuttled to the airport via bus or train, those check-in facilities would become potential targets themselves. I spoke to NYC Aviation founder and aviation security guru, Phil Derner, and asked him what he thought about isolating the check-in areas. What about having military-style security at airports, as we see in many other countries? Could it be an effective visual deterrent if soldiers wielded machine guns around every turn? The Transportation Security Administration (TSA) is our country’s front line defense against all threats brought upon commercial aviation. Many would argue their effectiveness. After all, the 9/11 hijackings were carried out with knives and box cutter blades, not guns. In 2016, terrorists were able to successfully carry out attacks at airports in Istanbul, Brussels, Moscow, Karachi, Kandahar, and Mogadishu, taking the lives of nearly 200 people, as well as causing several hundred injuries. Even here in the US at New York’s JFK Airport, on August 15th of last year, a mass evacuation of the terminals was prompted, which was later attributed to people clapping loudly while watching an athletic event on TV at a bar. In this situation, the terrorists win. They did nothing, yet their goal of inciting fear was successful without even having to try. As long as terrorists influence the way we go about our lives, they win. That’s their goal, to intimidate us to the point at which we are scared to travel by air. So, how can airport security be improved? There really isn’t a perfect answer.